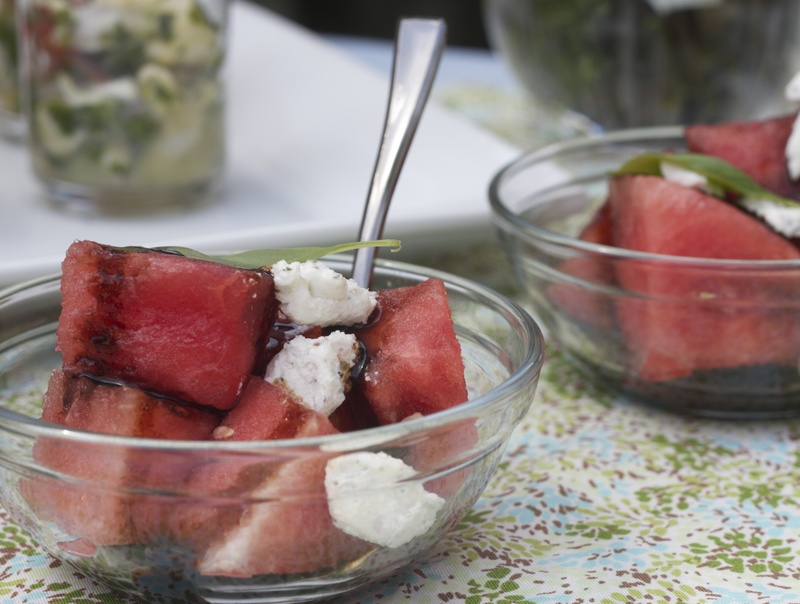 Watermelons aren’t just for the summer. In the US watermelon’s are available all year round however if you’d like a “born in the usa” melon you have between April & November. This last summer I was a bit crazed with watermelon shakes, juices & cocktails but now that fall has arrived I had to make my watermelon salad before my melons went through customs. I served it for dinner one evening my brother & family dropped by. Of course at first glance my brother made a face, “vinegar with watermelon?”. He doesn’t have the most adventurous palette but he agreed to try as did my niece & nephew. This salad is incredibly simple and can be served with a varity of dishes. I served mine with grilled steak and roasted potatoes. It’s also great to bring to bbq’s, serve at a brunch, with fish and chicken. It’s incredibly light and is great at balancing heavy dishes. My brother and his family became big fans and have made the dish at home.